If you have soft hands, you are very lucky. If you have dry hands, it doesn’t matter at all. You can find yourselves best home remedies for dry hands in this article. Generally speaking, dry hands and feet are a common condition. Though it is not dangerous, it could be extremely irritating. There are many factors contributing to dry hands and feet, from environmental conditions to personal care regime and certain medical conditions. There are many ways to keep your thirsty skin properly hydrated, regardless of the cause. However, in order to solve this problem from its root causes, you need to gather some basics about dry hands and feet first. 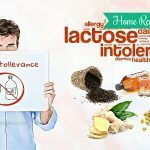 Learn more about home remedies for dry hands, what it is, what causes it in the first place, how it appears, and ways to prevent it with TrueRemedies.com. Check out below! Dry hands are defined as a state of your hand skin which is always dry and rough. This kind of hands is more vulnerable to environment conditions, such as temperature, humidity, etc. What Are Common Causes Of Dry Hands? 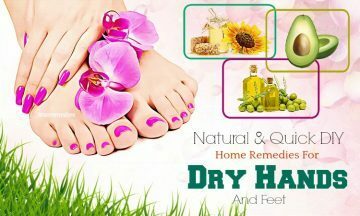 Understanding why your hands are dry will be a key point in choosing the suitable home remedies for dry hands. As concluded, there are some factors causing you dry hands as below. The air is dry: whether it is hot or cold out there, dry air could leave your hands’ skin parched. When it is cold, the humidity level plunges accordingly. The indoor heating could also strip more moisture from the air, not to mention the dry winds. The weather is cold and the humidity is low. The duration to the sun is long. The frequency of washing your hands is too much. You may touch toxic chemicals when carrying no gloves. You use harsh soaps for washing your hands. You use certain medications: A large number of acne medications have chemical exfoliants such as glycolic acid, retinol, benzoyl peroxide, and salicylic acid. Such chemicals could severely dry out your own skin, including your hands and feet. Your genes: It is claimed that dry skin could be inherited. People have other family members suffering from dry skin are more likely to develop skin conditions related to dry skin like eczema. Underlying conditions: There are some medical conditions which could be causes of dry hands and feet, such as psoriasis, diabetes, atopic dermatitis, and underactive thyroid gland. What Are The Symptoms Of Dry Hands? The hand skin is rough and dry. The hand skin seems to be tight. There are cracks on the skin. The skin is easily vulnerable to hot or cold water. If you have dry hands, you should not worry because you can completely get rid of this situation by looking through our article “15 home remedies for dry hands”. We are sure that it will be pretty useful for you. 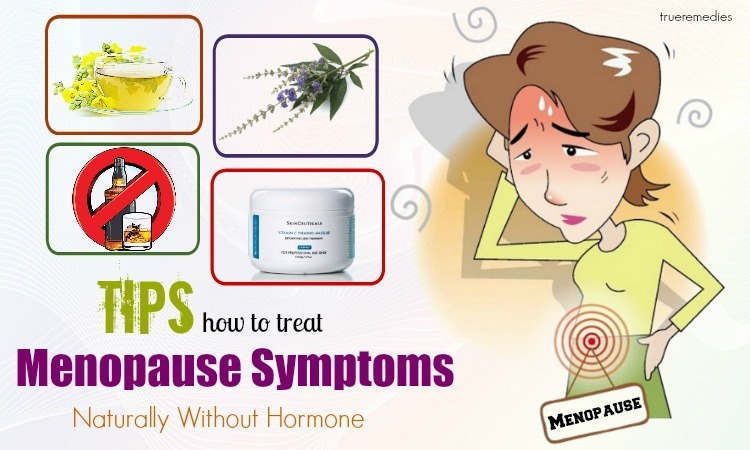 However, keep in mind that you must go to see your doctor if your condition is severe. Olive oil is regarded as one of top home remedies for dry hands and feet. Do you know why? Let me give you some of the information about its benefits to the skin. Olive oil is taken from the olive fruit. This oil is renowned as an ingredient used in European cooking. It is not surprising that olive oil is beneficial for the whole body. Aside from internal healthy, olive oil is also great for external use, particularly for skin as well as hair . It is rich in antioxidants along with some fatty acids, which help to keep your hand skin well-moisturized. Moreover, the vitamins A, B1, B2, C, D, E, K and iron found in olive oil also make your skin elastic, healthy and smooth. Actually, the antioxidant itself could eradicate free radicals which are responsible for dull and dry skin. Vitamin E, on the other hand, is essential for skin health, in general. It is the most important nutrient for skin to revitalize and reenergized itself. Without this vitamin, you will not have a healthy, moisturize and lustrous skin. Thus, it is not surprising that people from Mediterranean consider olive oil as beauty oil. The oil is a good tool for making your hand skin softer. Regular application of olive oil on your skin can help to combat against the symptoms of aging skin. You had better take advantage of extra virgin olive oil for optima results. Take a small amount of olive oil. Directly apply the oil to your hands. Gently massage it for 15 minutes. Pour a sufficient amount of fine sugar in a bowl. Add the same amount of olive oil to the bowl. Then, rub the mixture to your hand skin for several minutes. Now, dry it with a clean towel. We have to admit that oatmeal is so delicious and easy-to-do meal for our breakfast. Oatmeal acts as a natural agent, which helps to cleanse as well as exfoliate your skin. According to researchers, oatmeal has a payload of compounds with anti-inflammatory, moisturizing, antioxidant, and buffering, soothing and cleansing effects. 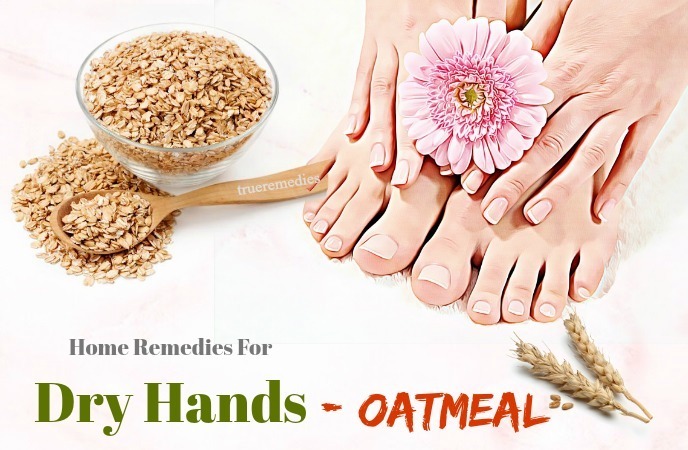 Plus, thanks to its protein, oatmeal works well to limit water loss and moisturize your hand skin. Furthermore, oatmeal consists of vitamin E, antioxidants as well as useful acids which are very good for treating skin problems. Oatmeal is often ground into a good powder and dispersed in a proper liquid prior to being used on skin. When being spread on skin, the small particles of oatmeal will create an occlusive barrier which keeps the moisture in. Besides, avenanthramides, the substances found in oatmeal having antioxidant property, also have anti-inflammatory actions which are similar to hydrocortisone 1%. Take an amount of oatmeal. Take 2 tablespoon of the powder. Then, add sufficient amount of water to form a paste. Also, pour some drops of lemon juice. Rub the paste to your hand skin. It is no surprise that many people are huge fans of coconut oil. Regarded as a do-everything oil, coconut oil has nearly no downside. 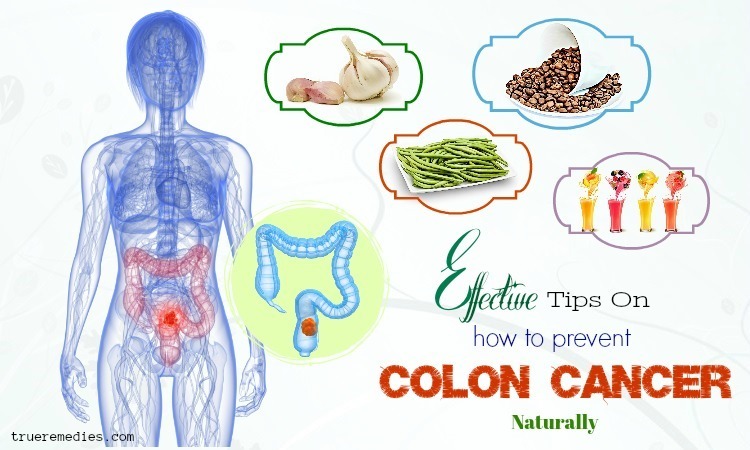 It is packed with good fats providing us with positive energy, has the ability to combat microbes in the human body, and amazing for cooking. However, did you know that coconut oil is also a great ingredient for skin health? Fact is, you can easily reap the benefits of coconut oil from inside out . Coconut oil is among powerful home remedies for dry hands thanks to its soothing property. If your skin is extremely dry, you can take advantage of coconut oil to get softer skin. Applying the oil will also help reduce potential infections due to ultraviolet ray exposure. Pour it in a small cup. Then, put it in an oven at low temperature for making it warm. Now, remove it from the oven. Apply the warm oil to your hand skin. Gently massage for a few minutes before bedtime. Put on your gloves overnight. If your hands or feet are dry or even cracked, do not instantly reach for commercial moisturizers as sometimes they are not enough to heal cracked hands. In this case, look in your fridge and you will find a simple product which can relieve your problem somehow – milk. Milk cream acts as a pretty good moisturizer for the skin. It is especially necessary for your dry hands because it is its lactic acid that gives a hand in getting rid of dead cell tissues for your hand skin. Furthermore, it can keep the pH level for the skin. Take a small amount of milk cream. Apply it on your hand cream. Let it to stay on for 15 minutes. Take 2 teaspoons of gram flour. Add the equivalent amount of milk cream. Apply the mixture to your hand skin. Let it sit on for 20 minutes. 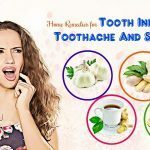 Apply the remedy three times every week. Honey may be the most wonderful natural ingredient to pamper your skin. When it comes to moisturizing the skin, honey does a great job. It is because honey contains a number of antioxidants, which are good for aging skin and wrinkles, as well as the power to fight microbes. It is so effective in keeping your hand skin moisture, greatly contributing to providing your hand with a soft skin. Moreover, it is also an excellent one for controlling the aging of your skin . Pour a small amount of raw honey on your hand skin. Allow it to sit on for about 15 minutes. Then, wash it off with warm water. Prepare an amount of honey. Add the same amount of glycerin to the cup. Directly apply the mixture on your hand skin. Let it sit on for 15 minutes. Prepare 2 teaspoons of raw honey. Pour them in a cup. Add some drops of lemon juice and the same amount of olive oil. Directly apply the mixture on your dry hands. Leave it stay on for 10 minutes. Do this application several times a week. Aloe vera is an evitable ingredient for skin care, in general, and natural remedies for skin problems, in particular. It owns a strong moisturizing power which contributes to keeping your skin moisture and soft. 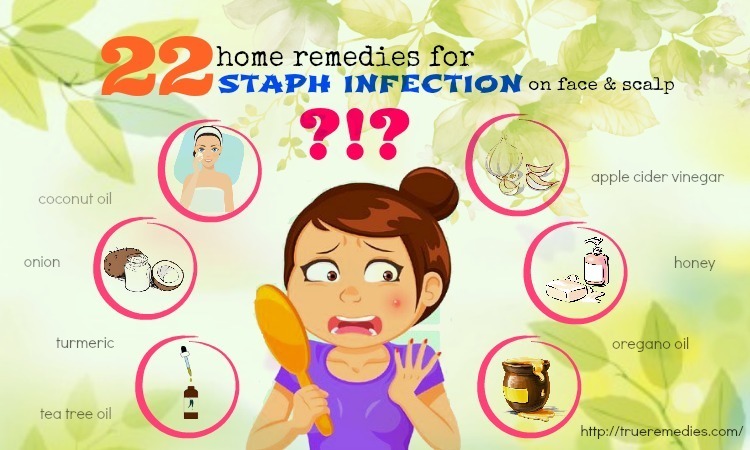 Additionally, it can protect your skin as well as keep your skin healthy. In fact, aloe vera consists of some magic enzymes which help to balance the moisture level for your skin. It also gives a hand in encouraging your skin tissue to regenerate . Directly apply the gel to your dry hand skin. Slightly massage it for several minutes. Allow the gel to sit on for 20 minutes. This is another common household food which is bound to take your hands and feet from cracked or dry to soft or dazzling naturally. Similar to oatmeal, Lemon juice is also one of fruits that you can utilize to fight your dry hands. The juice containing nitric acid helps to cleanse your skin, making the skin become soft as well as smooth. Your hand skin can recover from the dryness, accordingly. Furthermore, it is another way to lighten your skin tone as well as fade out spots on your skin . Take a small amount of raw honey. Add the same amount of lemon juice to the cup. Lastly, pour the equivalent amount of baking soda powder. Now, apply the paste on your hand skin. Allow it to sit on for 10 minutes. Prepare a basin full of warm water. Add some raw honey to the basin. Now, soak your hands in the basin for 15 minutes. Then, use a clean towel to dry your hands. Apply some olive oil to moisturize the hands. Do this process several times a week. Yogurt is proved to bring a number of benefits to our health when using every day. As to dry skin, yogurt can combat against the dryness of your hands thanks to its power to hydrate the skin. 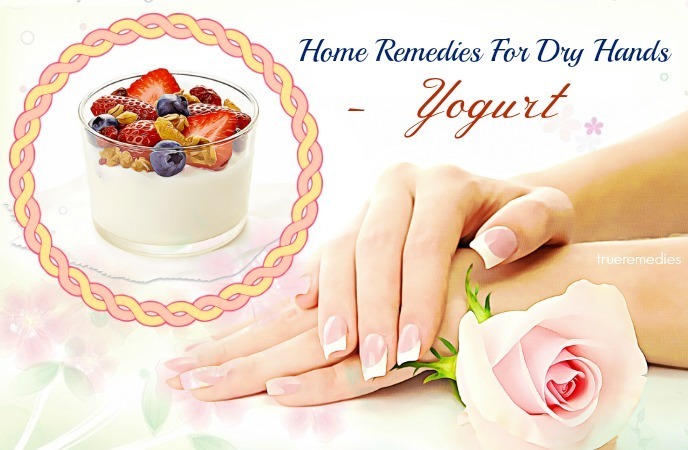 Plus, it is yogurt’s lactic acid that helps to cleanse as well as remove dead cell tissues on your hand skin. There are a couple of methods in which you can enjoy the amazing skin-nourishing benefits of yogurt. Take a spoon of the yogurt and apply it to your dry hands. Slightly massage your skin for a few minutes. Take 3 teaspoons of it. Put them in a small bowl. Add a tablespoon of gram flour. Put the paste on your hand skin. Do this application twice every week. How good bananas are? Have you ever missed out some bananas by chance? You must get rid of them because they are not good to eat any more. However, if you know this tip, you will not get rid of them immediately. You can utilize overripe bananas for treating your dry hands which annoy you so much . Mash it to form a paste. Then, apply the paste on your dry hands. Apply some olive oil to moisturize your skin. Mash ½ of a banana to form a thick paste. Mix the paste with some olive oil. Then, add some raw honey. Apply the mixture to the hand skin. Use warm water to rinse it. Then, wash your hand with cold water. Do this remedy twice every week. 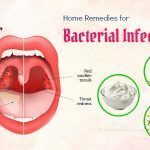 Avocado is not only a good fruit for your health but also a good solution in regard to natural and quick DIY home remedies for dry hands and feet. Containing a number of vitamins such as vitamin E, vitamin C as well as good fats, this kind of fruit will contribute to eliminating the dryness of your hands . Use a knife to cut it into half. Use a spoon to take out the pulp of the half. Put the pulp in a bowl. Add a tablespoon of raw honey. Now, mix them all well to form a paste. Directly apply the paste to your hand skin. Use cool water to wash it off. Apply this process several times a week. 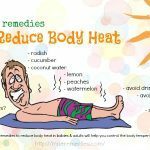 Do the remedy once every day before you take a bath. Take 30 ml of beeswax. Add ¾ cup of almond oil to the pot. Also pour ¼ cup of avocado oil to it. Heat the mixture to melt the beeswax. Pour the mixture in a blender. Take about 4 capsules of vitamin E.
Cut them to get the oil. Pour the oil in the blender. Add some drops of lemon grass essential oil to the blender. Pour the mixed cream in a jar. Tightly cover it for usage. Apply a small amount to your hand skin every day. Petroleum jelly known as Vaseline is listed as one of the simplest DIY home remedies for dry hands. This mixture is made from waxes and some mineral oils. It has a number of benefits to our skins, such as healing skin burns, moisturizing our skin. As to hand skin, it keeps the skin moisturize and soft . Wash the hands carefully with soap. Then, dry the hand with a clean towel. Apply a small amount of petroleum jelly to the hands. Then, gently massage for a few minutes. Get on your gloves overnight. Containing lactic acid, vinegar is utilized to recover your skin’s pH balance. It helps to keep your skin moisturize. In addition, it is so effective in getting rid of dead cell tissues for your skin . Take a cup of apple cider vinegar. Then, add 2 teaspoons of olive oil to it. Put your hands completely in the mixture. Soak the hands in for 20 minutes. Do this process twice every week. Prepare a tub with warm water. Pour 2 cups of apple cider vinegar in it. Soak your hands in the mixture for half an hour. Then, put the hands in a basin filled with cold water for just a minute. Use a clean towel to dry them. 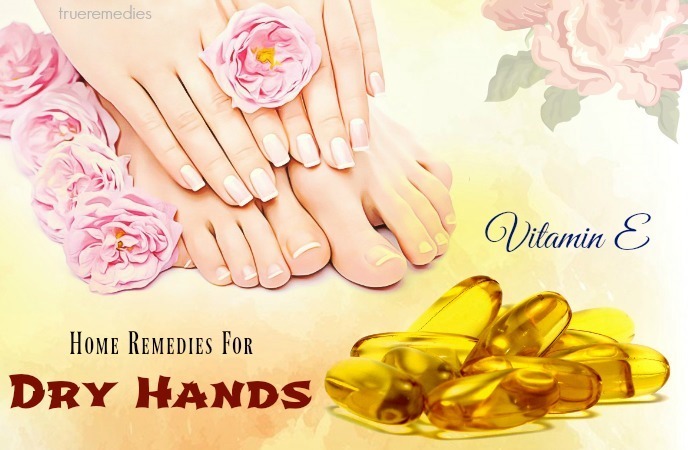 Vitamin E is considered as one of the excellent DIY home remedies for dry hands and feet thanks to its strong antioxidants as well as the ability to softening your skin. This vitamin can help to soften your skin and heal the inflammation. It is especially good for the hands which are cracked. Take a vitamin E capsule. Cut it to take out the oil. Pour the oil on your hands for several minutes. Gently massage your hands for being deeply penetrated in the skin. 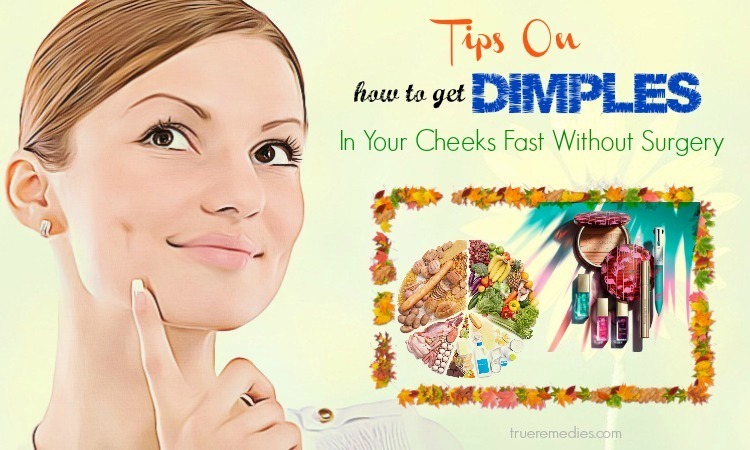 Applying lotion is always suggested to do every day if you want to own good and soft skin. You can buy an appropriate lotion for your skin at supermarket or any cosmetic store. Pour 1/3 cup of coconut oil in a bowl. Add ¼ cup of olive oil to it. Then, pour a cup of jojoba butter. Next, add 1/8 grated beeswax to the bowl. Put the bowl in a microwave oven. Heat them to melt them. Add a teaspoons of raw honey as well as gel extract of aloe vera leaf. Pour some drops of vitamin E to the mixture. Then, put the mixture in a refrigerator for some few minutes. Whip the mixture with a blender. Pour the mixture in a jar. Apply a small amount of the lotion twice every day. Store the mixture in a refrigerator for usage. Lavender oil is another essential oil which is good for your hand skin. You can combine this oil with some other essential oils and rose water to own an excellent mixture for your skin . Pour several drops of lavender oil in a cup. Then, add a tablespoon of jojoba oil. Now, apply the mixture on your hand skin. Firstly, take about 30 ml of beeswax. Put beeswax in an oven to melt it. Then, pour 1/3 cup of olive oil in a pot. Also, add 2 tablespoon of rose water to the pot. Then, pour the oil in the melt beeswax. 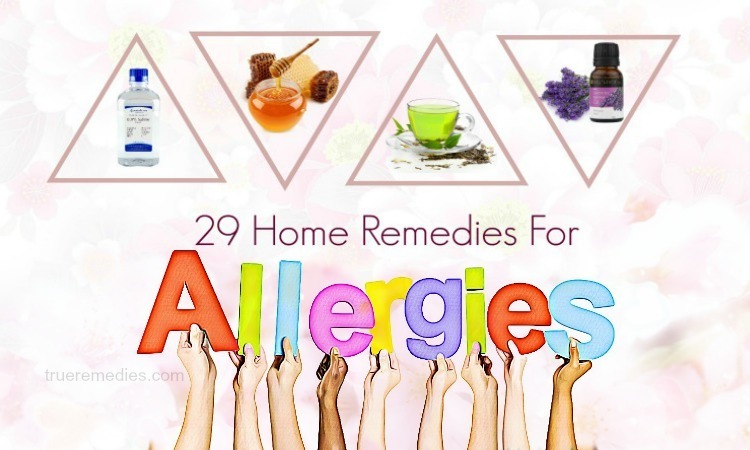 Pour some drops of lavender oil in the mixture. Get rid of the mixture when it has been used for 3 months. Since the sun may dry your skin out, result in burns and cause other severe problems, you should protect your body, including your hands and feet, from prolonged exposure to sun rays. Choose a quality sun block to prevent the sun from drying them out. People who are suffering from respiratory problems usually use humidifiers to aid their breathing. Nonetheless, a humidifier is also helpful in protecting the human skin from drying out, especially when you are in winter months or living in a particularly dry environment. The ideal place to place a humidifier is near your bed, yet it could also be used in any place of your house. Don’t abuse soap for washing your hands every day: Your hands are provided with natural means for protecting your skin from bacteria. So if you wash your hands by soap too much, you are removing positive bacteria. Don’t use the water which is too hot or cold for washing your hands: The water which is too or too cold can lead to the dryness of your hands. Wear gloves when washing the dishes or doing housework. Remember to apply moisturizer before bedtime. Consume fresh vegetables and fruits every day. So, do you think this article is informative to you? 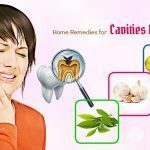 It summarizes some of the most effective home remedies for dry hands that you can easily apply at home. Have you chosen any suitable remedy for your hands after reading this list of home remedies for dry hands? You can easily apply them at home because of their simple and cost effective characteristics. 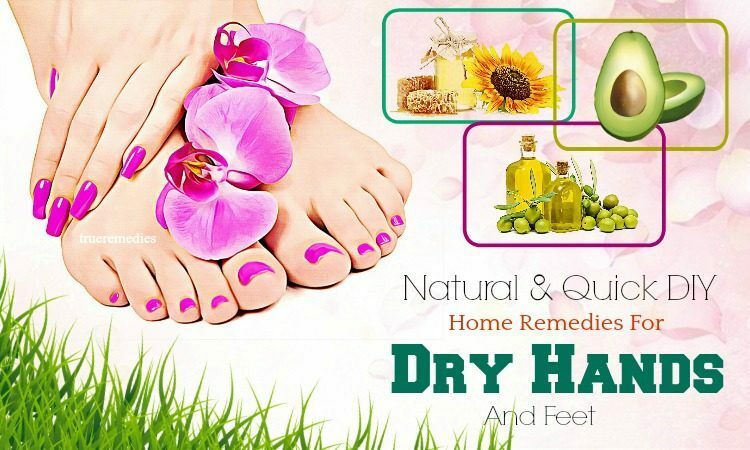 If there are any concerns about the remedies mentioned in our article of “17 Natural & Quick DIY Home Remedies For Dry Hands & Feet” presented in Home Remedies Category, don’t hesitate to leave your comments and ideas. We will try to give the feedback to you as soon as possible.